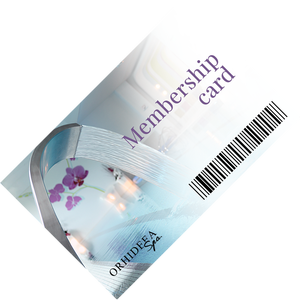 Membership Card Benefits - OrhideeaSpa. We designed a special discount plan for you to have the best prices. 15% Discount on medical recovery and physiotherapy subscriptions. 30% Discount on specialist doctor for medical recovery consultation. We just have to come to us. We’ll take care of robe, towels, disposable slippers and all that is required for your comfort.